You like the rock music? You like the musical? Then maybe you're going to like this one. Andrew Lloyd Webber's hit based on the movie starring Jack Black is going to shred Shanghai Grand Theatre from February 22 into March and we've been selling a lot of tickets through SmartTicket. If you wanna go, you should probably get tickets sooner rather than later, to make sure you get the seats and dates you want. What's it about? The musical follows Dewey Finn, a failed wannabe rock star who decides to earn an extra bit of cash by posing as a supply teacher at a prestigious prep school. There he turns a class of straight-A students into a guitar-shredding, bass-slapping mind-blowing rock band. 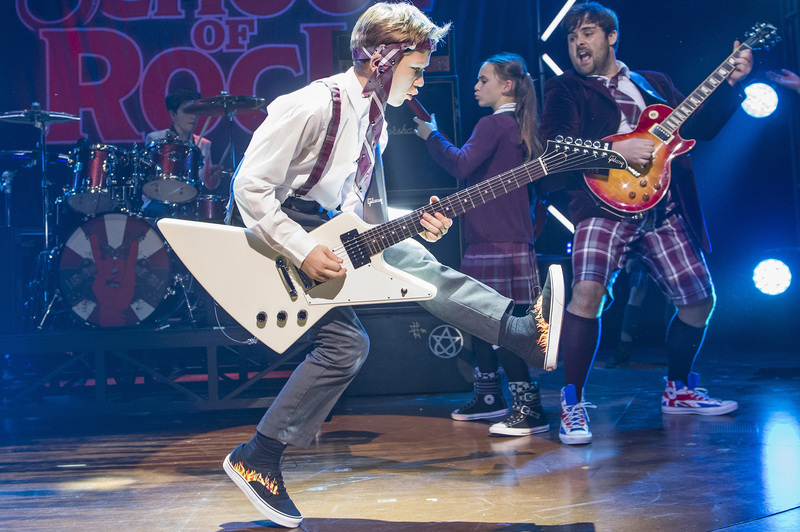 With a new score from Andrew Lloyd Webber, lyrics by Glenn Slater, book by Julian Fellowes and a cast of kids shredding guitars, pounding drums and rocking out live, it's for rockers of all ages. Click here to get your tickets.